This article could be put forward for research and background knowledge alone. Combine this with a passionate lament for the lack of ‘the spirit of bond’ which makes me wish some of these games didn’t exist, but also that I had played some of them, this article makes you feel the author’s pain, pleasure and optimism for Bond. It was a big year for Bond. 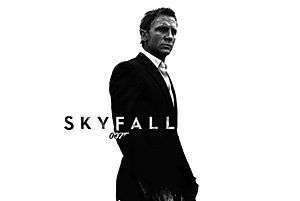 He’s celebrated 50 years on the big screen and he’s had a party, with the brilliant Skyfall – the 23rd official James Bond movie – recently shown in cinemas worldwide and all 22 previous films available for the first time ever on Blu-Ray. He’s even had a new game out recently, but unfortunately 007 Legends was yet another entry in a long line of mediocre Bond games. Across nearly 30 years the license has flitted between eight publishers with developers such as Rare, Visceral Games and Treyarch putting their own mark on the secret agent’s legacy across a total of 24 different games, only two of which can actually claim to be any good. Licensed games are renowned for being notoriously bad, but you’d think Bond would be an easy one to get right; gunfights, car chases, exotic locations… throw in some stealth and the odd puzzle to solve with the aid of Q branch’s gadgets and you’ve got a basic but winning formula. Yet, time and time again developers fail to hit the nail directly on the head. Depending on who you ask there are a select few games that are at the very least enjoyable (Nightfire and Blood Stone spring to mind, personally) but the true potential is usually swanned away amongst overwhelmingly bland and predictable shooting, and thus the essence of being Bond is nowhere to be found. 007 made his videogame debut in 1983 and over the course of the next decade would go on to appear in eleven games, the kind of games for the kind of platforms you’d expect for such an era. 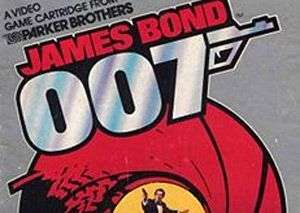 The imaginatively titled James Bond: 007 from publishers Parker Brothers was the first game starring the intrepid spy, and took the form of a side-scrolling driving game for the Atari 2600, Atari 5200, Atari 8-Bit computers, Commodore 64 and CollecoVision. There were the grand sum of four levels (yes, four!) and each were based on a particular movie, those movies being Diamonds Are Forever, Moonraker, For Your Eyes Only and The Spy Who Loved Me, where players would shoot down enemies across land, sea and air in one of Bond’s famous cars. The next game – A View to a Kill – followed in 1985 and was published by Domark for the ZX Spectrum, Amstrad CPC, Commodore 64, MSX, Oric 1 and Oric Atmos. Slightly more ambitious than its predecessor, A View to a Kill was split into three segments inspired by the film of the same name. The first sees Bond commandeering a taxi to chase a parachuting May Day through the streets of Paris. Oddly, the screen is split into three sections at this part, one a first person view from the car, another being a top down view of the car, and the other displaying May Day’s altitude. The second section takes place in a burning San Francisco City Hall while the third occurs in a mine, both being more traditional side-scrolling affairs with Bond collecting items and passcodes in order to progress. 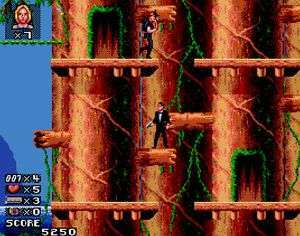 It should also be noted that there was a separate text based version of A View to a Kill (the full title being James Bond 007: A View to a Kill) from Mindscape for the DOS, Macintosh and Apple II computers. James Bond 007: Goldfinger, another text adventure, followed in 1986. A year later Timothy Dalton had taken over from the aging Roger Moore in one of the best James Bond films ever, The Living Daylights, and – surprise surprise – there was an accompanying game to supplement it. 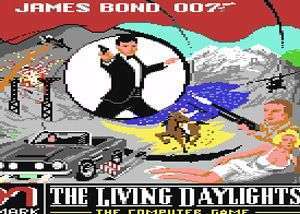 Again published by Domark and releasing on the Commodore 64, Amiga, Amstrad CPC and BBC Micro, The Living Daylights was yet another side-scroller and featured levels set in Gibraltar, Afghanistan and a funfair where you had to avoid killer balloons. No joke. Things were made even tougher thanks to an endless stream of bad guys popping up in the background to shoot you, but if you knew what you were doing you could see the end-of-game message and your final score in ten minutes or less. Next up was Live and Let Die. Despite the film releasing in 1973, Live and Let Die came out for the Amiga, Atari ST, Amstrad CPC, Commodore 64, DOS computers and ZX Spectrum 15 years later. Interestingly, Live and Let Die was never intended to be a James Bond game at all; in fact, it was originally called Aquablast, a speedboat racer where players sped down obstacle laden rivers while simultaneously shooting hostile boats. Sound familiar? Of course it does, which is why it was rebranded at the behest of Domark after realising how closely it resembled the film’s speedboat chase in Louisiana. But no matter the title, Live and Let Die could prove to be a repetitive yet addictive boat, erm bout. License to Kill followed in 1989 to coincide with Timothy Dalton’s second and – sadly – final 007 film (quite possibly the most underrated Bond film ever – just saying), appearing on the same platforms as Live and Let Die, plus the MSX and BBC Micro. Largely a top-down driving game (and a fairly good looking one at that) with some on-foot sections in between, the game’s six stages see players flying a helicopter to catch villain Sanchez in his plane, water-skiing bare-footed, and driving a tanker while smashing enemy tankers off the road, which is more than you can say about 007 Legends’ version of the film’s events. The Spy Who Loved Me took a similar approach in 1990, with a top down view of Bond’s famous Lotus Espirit in what was essentially a Spy Hunter rip-off. Releasing the same year was James Bond: The Stealth Affair (known as Operation Stealth and having absolutely nothing to do with the Bond licence at all outside of the United States) from Interplay which saw James Bond (John Glames everywhere else) working for the CIA (not MI6) to track down a stolen stealth plane. Things took a turn for the weirder in 1991 when THQ published James Bond Jr. from Eurocom (remember them for later) for the NES and SNES, a game based on a spin-off cartoon about James Bond’s nephew. We’ll leave it there, shall we? The year was 1997 and not only did we have a new Bond in the form of Pierce Brosnan, who was about to appear as 007 a second time in the film Tomorrow Never Dies, but also a new generation of consoles, specifically the Nintendo 64. At the time, First Person Shooters had been thriving on PC, with the likes of Doom, Wolfenstein and Duke Nukem 3D popularising the genre, but on console it was a different story. So when Rare (back then known as Rareware) came along with a videogame adaptation of GoldenEye for the N64, the film having come out two years prior, critics and gamers alike weren’t convinced, especially after a less than stellar showing at that year’s E3. But then a funny thing happened – something that will never ever happen again – because against all odds GoldenEye turned out to be one of the most important videogames in history – quite a shock to say the least. 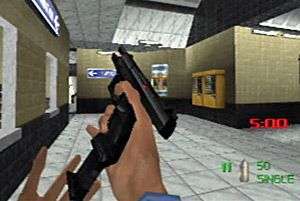 Praised for its detailed environments, precise controls and ground-breaking multiplayer, GoldenEye 007 was nothing less than an FPS revolution on console, going on to win multiple Game of the Year awards and other honours for developers Rare, and went on to sell over a whopping 8 million copies to become the N64’s third bestselling game behind Super Mario 64 and Mario Kart 64. GoldenEye proved that FPSes could work on console, even more so than N64 stablemate Turok: Dinosaur Hunter. Nintendo’s console had the advantage over Sony’s PlayStation here thanks to the controller’s single analogue stick (at the time, PS1 controllers lacked any analogue sticks), allowing a flow of uninterrupted movement through the game’s spacious environs. Players were given the freedom to tackle multi-objective levels in any way they could, abetted by a vast range of guns (including a zoomable sniper rifle!) and gadgets. Stealth was more often than not the key to success, although it was always possible to simply shoot your way through a level (if not entirely recommended). While the single player was superb, it was the multiplayer that truly made the title what it was; GoldenEye’s 4 player split-screen multiplayer was reason enough to buy an N64 in the first place, and if you didn’t have one you probably spent more time round a friend’s house who did. Even to this day the effects of GoldenEye are still being felt. Somewhat unfairly, maybe even stupidly, whenever any new Bond game is released GoldenEye is always the game it is judged against. It is often to be found among many Top 100 Games lists; it’s even had a modern day remake (more on that in a bit) as well as a more faithful fan made remake of the game’s multiplayer using Valve’s Source engine. While GoldenEye’s legacy continues to live on, it was sadly the one and only James Bond title to be developed by Rare. They did however go on to make a spiritual successor in Perfect Dark, before Microsoft bought the company outright and put them to work on games that nobody wanted them to make. There are also strands of GoldenEye’s DNA to be found in TimeSplitters, considering that devs Free Radical (now Crytek UK, working on the Homefront sequel) were made up of key members of the GoldenEye team. 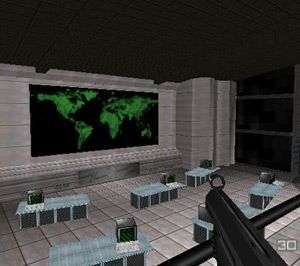 Most exciting of all is the possibility that there is a full HD spruce up of GoldenEye in existence somewhere in the world waiting to be let loose, reported to feature high-resolution textures, revamped character and weapon models and a faster framerate. Back in early 2008 rumours spread over the internet like wildfire, with claims that the game had been seen with a few screenshots popping up too, and was believed to be heading to XBOX Live Arcade courtesy of Rare themselves. Sadly, licensing issues meant that the game never saw the light of day, and probably never will do either. We did get a HD update of Perfect Dark though, so it’s not all bad, eh? Somewhat overshadowed by GoldenEye’s huge success was James Bond 007 for the Game Boy, which had its own story and nothing to do with the 1983 game of the same name. The next “BIG” Bond game would be Tomorrow Never Dies from Electronic Arts, who now owned the license and would publish no less than eight games with it. Similar to GoldenEye, it would release quite some time after the film hit cinemas, but dissimilarly, Tomorrow Never Dies was developed exclusively for the PlayStation by Black Ops Entertainment, would be played in third person rather than first, and had no multiplayer modes whatsoever. It followed the same plot of the film, but took the liberty of altering bits and pieces throughout. For example, in the film Bond escapes from a terrorist arms bazaar in a fighter jet, whereas in the game he flees on skis before jumping off a cliff and deploying a Union Jack parachute – reminiscent of The Spy Who Loved Me. Tomorrow Never Dies is also one of the small number of Bond titles where you take control of a character other than Bond himself, in this case Wei Lin for a single level towards the end of the campaign. However, Tomorrow Never Dies failed to live up to expectations, suffering from incomplete looks, shallow gameplay and very little reason to replay it. It seemed Bond had lost his gaming license to thrill not long after he acquired it. Luckily, things picked up with The World Is Not Enough in 2000, or at least for the N64 version anyway. There were three versions of TWINE, one on the N64, one for the PS1, and a hardly worth mentioning Game Boy Colour version, developed by Eurocom (them again), Black Ops and 2n Productions respectively, with versions for the PS2 and PC planned but never coming to fruition. 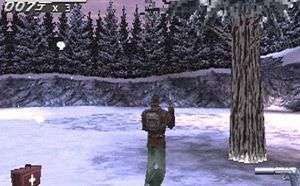 The two home console versions that did release reverted back to the glory days of GoldenEye in that they adopted a first person view, but once again the poor PS1 received the short end of the stick, with no multiplayer support, less than stellar graphics and a notable absence of a pair of levels from the N64 version. While the N64 version fared better, it still couldn’t match the highs of Rare’s classic, nor their recently released Perfect Dark. Also releasing around the same time was 007 Racing, which the less is said about the better. One of the worst Bond games ever, 007 Racing was a whole game dedicated to the poorest bits of nearly all Bond titles, and unsurprisingly, the rumoured sequel never materialised. 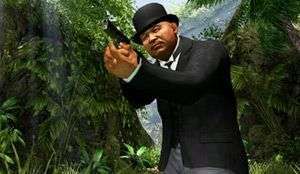 The next Bond release would make the leap to the next generation; hitting the PS2 in late 2001, and XBOX and GameCube in mid-2002, Agent Under Fire started out as the PS2 version of TWINE and marked the beginning of EA’s stint of original Bond stories. Made by EA Redwood Shores (now Visceral Games of Dead Space fame), Agent Under Fire was touted by EA to be the definitive follow-up to Rare’s GoldenEye, but its daft plot involving clones and handholding gameplay held it back from fulfilling that highly ambitious promise. That’s not to say it was bad – because it really wasn’t – but EA’s overhyping perhaps didn’t do it any favours. Still, it only got better from here because in 2002 ever-dependable developers Eurocom returned to the fray with Nightfire for the PS2, XBOX and GameCube, while Borderlands developers and Duke Nukem Forever saviours Gearbox handled the PC port and Las Vegas based JV Games catered for the Game Boy Advance. On release, Nightfire was considered to be the finest Bond game since GoldenEye and was notable for using the remarkable likeness of Pierce Brosnan – something Agent Under Fire never have the luxury of – although sadly his voice was still not present. Also praiseworthy was Nightfire’s globetrotting plot which revealed echoes of Moonraker and saw Bond travelling to Paris, Tokyo and eventually finishing up in space. Even more commendable were the above-average vehicle sections. Believe it or not things were about to get even better. EA and 007 may have skipped 2003 but both came back with one almighty bang in early 2004 with Everything Or Nothing for the PS2, XBOX, GameCube and GBA (Fact: Eon Productions, the production company behind the Bond films, stands for Everything Or Nothing). Redwood Shores were back on development duties, the third person camera also made a return, and Pierce Brosnan, Judi Dench, John Cleese and Richard Kiel lent their voices and likenesses as James Bond, M, R and Jaws respectively, while Willem Dafoe played villain Nikolai Diavolo, who shares ties with A View to a Kill’s baddie Max Zorin, Heidi Klum played his partner in crime Katya Nadanova, and Shannon Elizabeth (of American Pie fame) convinced in the coveted Bond girl role as Serena St. Germaine in a story penned by screenwriter Bruce Feirstein, who worked on GoldenEye, Tomorrow Never Dies and The World Is Not Enough. Everything was there, all the ingredients for a near perfect Bond experience; from outrageously farfetched stunts (everyone remembers freefalling off a cliff in Peru, shooting bad guys during descent, before grappling to safety at the last second) to electrifying car chases, right down to the theme song performed by Mya, who also had a starring role in the game. Everything Or Nothing also amped up the “Bond Moments” first introduced in Nightfire, which occured whenever the player did something Bond-alike at context specific moments, be that sliding under a tanker before it explodes on a motorbike or giving a half-naked woman a massage. Traditional multiplayer modes were absent, but in their place was a two player co-op mode which put the pre-Gears of War cover system to good use. Without an inkling of any doubt, Everything Or Nothing is the second best Bond game ever made, or if you prefer third person shooters over first person shooters (like moi), the best. It seemed EA were on a roll and their next venture into 007’s escapades was awaited with much anticipation. Oh, how could it have gone so wrong…? If the close proximity between the release of Everything Or Nothing and GoldenEye: Rogue Agent didn’t sound alarm bells, that deceptively misleading title would. Unrelated to “proper” GoldenEye and developed by EA LA (now Danger Close) for the PS2, XBOX and GameCube, the title refers to the game’s protagonist (or should that be antagonist?) who loses his right eye only to have it replaced with – wait for it – a golden eye. Geddit? Sigh. To be fair, the game’s non-canonical premise in which you play the part of the villain still has untapped potential, and yet somehow Rogue Agent was nigh on void of personality, never mind the lacklustre, one dimensional gameplay and nonexistence of any kind of meaningful innovation. Christmas 2004 was packed with huge AAA blockbuster shooters, including Halo 2, Metroid Prime 2, Killzone, and a little-known title called Half-Life 2, so why anyone would bother wasting their time and money on quite possibly the worst of the worst Bond games is inconceivable, and the sales showed it, leading to the cancellation of a sequel. An equally ill-fated DS port came out the following summer. Lesson learned, EA decided to relinquish their pursuit of the elusive GoldenEye crown and instead chose to focus efforts on replicating the success of Everything Or Nothing for their last Bond hurrah. From Russia With Love probably wasn’t the bookie’s favourite to get the videogame treatment, but Christmas 2005 saw it release on the PS2, XBOX and GameCube with a tweaked story from Bruce Feirstein. Redwood Shores were back in the development chair and somehow they managed to persuade Sean Connery and – Natasha Bedingfield? – to lend their likenesses and voices, which is really the only prominent point to mention about the game. No amount of graphical grandeur could make up for such linear levels and lame mission objectives such as “kill X amount of enemies in X amount of time”. Even though having the legendary Sir Connery appear in a game was something special to behold, he was certainly past his best when it comes to Bond, even if it was only his voice. Still, FRWL was leaps and bounds better than Rogue Agent, and even managed to squeeze onto the PSP a few months afterwards thanks to Rebellion. After a semi-successful run, EA decided to take Bond no further and abandoned the license, allowing publishing behemoth Activision to take over the reins in 2006. By then it was too late to turn Casino Royale into a game, even though EA had already began production on one before pulling the plug, and was quite wisely left to be incorporated into the tie-in for 007’s next big screen outing in 2008, Quantum of Solace, via mid-game flashbacks. Funnily enough, there was more of Casino Royale in the game than there was Quantum of Solace. Acti’s debut Bond title was developed by then Call of Duty B-team Treyarch for the PS3, XBOX 360, Wii and PC using the COD 4 engine. It was a perfectly functional FPS with a third-person cover system ripped straight out of Rainbow Six and a theme song that was better than the film’s own. There was however a noticeable lack of ambition elsewhere, with key sequences from both Casino and Quantum not making the cut. For instance, the free-running chase through the construction site in Madagascar was playable – albeit as a QTE (urgh) – but the subsequent embassy shootout was left to an MI6 briefing cutscene (although it did make an appearance as a multiplayer map). Vehicle sections were also absent, odd when Quantum is chock full of them: the opening car chase in Sienna, the speedboat rescue in Haiti, and the dogfight in Bolivia. Bearing in mind the efforts of previous titles it was perhaps better left this way. In their place, however, were entirely new or expanded sequences; one saw Bond leaping from one train to another in Montenegro while another saw him and Camille battle against a helicopter in a sinkhole. One thing Quantum of Solace can claim to be is the best multiplayer Bond game this generation. It was essentially a pared-back Modern Warfare, but arguably the stars of the show were the Bondified multiplayer modes. Bond Versus pits one player as Bond who has to disarm two of three bombs scattered across a map against six members of the Quantum organisation tasked with stopping him. To even the odds, Bond can see where the opposing players are on the map at all times, has two lives and can use any weapon set. Meanwhile, Bond Evasion sees the MI6 team escorting one player as Bond off the map alive, while the Quantum team try to kill him. Fan favourite Golden Gun mode also showed up, along with the usual deathmatch and territory control modes, but a number of players reported glitches preventing them from earning credits to unlock new weapons and gear. Yet, the servers proved popular for quite some time and the game’s success was likely down to there not being a Modern Warfare Call of Duty game in 2008 (that year’s Call of Duty, also from Treyarch, was the World War II set COD: World at War). Activision would return with a double dose of Bond in 2010. 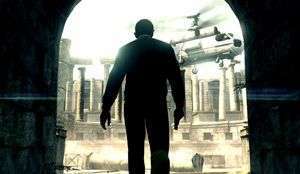 For the 360, PS3 and PC there was Blood Stone – an original Bond story written by Bruce Feirstein and developed by Bizarre Creations – starring Daniel Craig, Judi Dench and Joss Stone, who was also on theme tune duties, while the Wii got a modern re-imagining of GoldenEye from Eurocom. It was around this time that MGM, one of the studios responsible for the Bond films, encountered financial trouble, putting the next film on hold. What better time for the games to take centre stage? Although this wasn’t their first attempt at a shooter, the team behind Blur and the Project Gotham Racing games probably weren’t on the top of anyone’s list for Bond, but Bizarre actually pulled off one of the better 007 games in recent years. Blood Stone took the form of a third-person cover shooter, very much in the mould of Gears of War and Uncharted, while more or less pinching Splinter Cell: Conviction’s Mark and Execute system in all but name (here it’s called Focus Aim). It played things safe and simple and was criticised for it. True, there wasn’t much new here – there wasn’t anything new here, but maybe safe and simple was what Bond needed at the time. People seem to forget that Blood Stone was a polished shooter with responsive controls and clean and crisp looks, even if the character models looked like Madame Tussauds’ rejects. Car chases were an unexpected highlight too, which maybe shouldn’t be so surprising considering Bizarre’s pedigree, and skulking up behind enemies to deliver a bone crunching takedown was a delight. The fact remains though that Blood Stone was pretty average overall, and releasing the week before COD: Black Ops – which seemed to be where Blood Stone’s marketing budget had been spent – wasn’t the cleverest of moves on Activision’s behalf. Predictably, Blood Stone sold poorly and sadly proved to be the final nail in Bizarre’s coffin, which means we’ll probably never see what happens after that cliffhanger ending. It was whispered that Raven Software were making a follow-up, titled Risico, but other than the odd leaked screenshot and video, things have been quiet for quite some time. It wasn’t all bad news though. 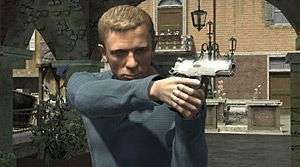 After doing a commendable job on the PS2 version of Quantum of Solace (which some people reckon is better than its HD counterpart), Eurocom were entrusted by Activision with bringing GoldenEye smack bang up to date for the Daniel Craig era of 007. Mr Feirstein adapted his original script for the modern setting while Nicole Scherzinger impressed with her version of the theme tune. Sadly, but quite rightfully, many saw this as a cynical attempt by Activision to profit from the GoldenEye name in much the same way EA did with Rogue Agent. 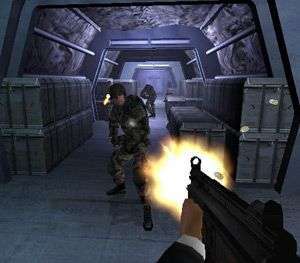 It may well be the case that Activision were motivated more by the money than respect for the source material, but Eurocom did a fine job in bringing GoldenEye to both nostalgic and new audiences alike, bringing elements of the original such as the multi-objective levels and split screen support while simultaneously catering for the COD deprived Wii owners, even if the absence of Boris “I am invincible” Grishenko in both single player and multiplayer is a disappointment. One year later Eurocom would port their GoldenEye to the 360 and PS3 in GoldenEye 007: Reloaded with a brand new engine, although you can clearly see its Wii origins. They also added MI6 Ops – a single-player only challenge mode with stealth, elimination and protection trials. Most recently, thy’ve bought us 007 Legends, a best of Bond compilation, only even worse than it sounds. 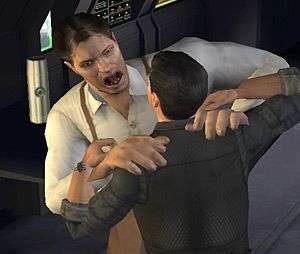 Of all the developers who’ve worked on Bond, Eurocom are the ones who’ve proved themselves worthy more times than any other, so the quality of 007 Legends perhaps suggests a short turnaround with a tight budget, especially when you factor in Activision’s penchant for annualising their properties. Unfortunately, due to lacklustre reviews and poor sales, Eurocom were left with no choice but to shutter their doors, forcing us to say goodbye to one of the few studios who had a knack for providing titles closer to Bond’s calibre. So who should have a crack at Bond next? What kind of title would you like it to be? A Splinter Cell style sneak-em-up with Uncharted-alike punch-ups and set-pieces, or a smart Deus Ex-like shooter with the bombast of Call of Duty to heat up the pace every so often? Some say Rocksteady are best suited to take over, doing to Bond what they did for Batman, perhaps even going so far as to make videogame Bond separate to his big screen equal. They certainly know how to handle stealth, hand-to-hand combat and gadgets, but what about shooting? Others reckon IO Interactive of Hitman fame could have a stab, turning Bond into a smooth and stylish killer. Either way, until the right publisher gives the right developer sufficient funds and time, the ultimate Bond game will probably remain a thing of the mind. Fingers crossed.